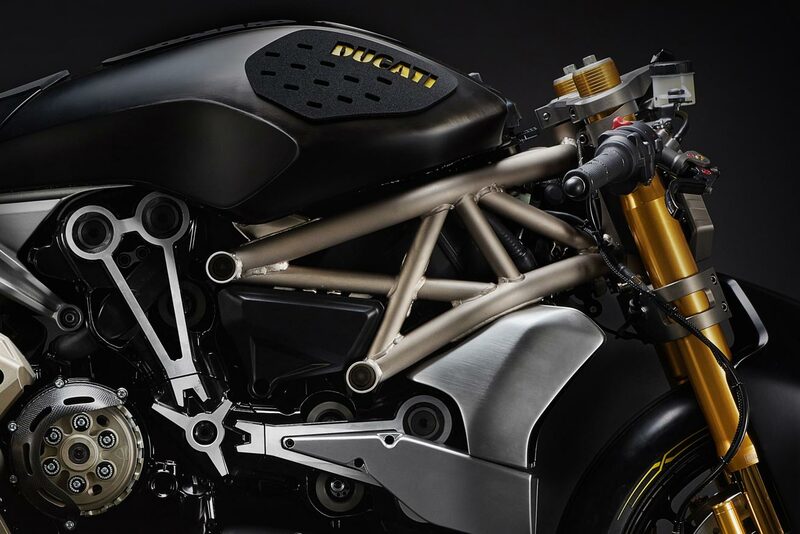 Ducati is at this year’s Motor Bike Expo in Verona, and it has a bevy of concepts and customs it wants to show the world. The Italian brand’s trio of Sixty2 Scrambler concepts didn’t really spark our engine, but the Ducati draXter Concept is certainly of note and worthy of further scrutiny. The Ducati XDiavel was Bologna’s big reveal at EICMA this year, and while the cruiser model wasn’t our cup of tea, we might have to change our tune with this decked-out version of the machine. Ducati says that the draXter model interprets the XDiavel from a “sports” point-of-view, and the modifications made to the machine certainly do a good job of connoting a bike that leaps from the line. 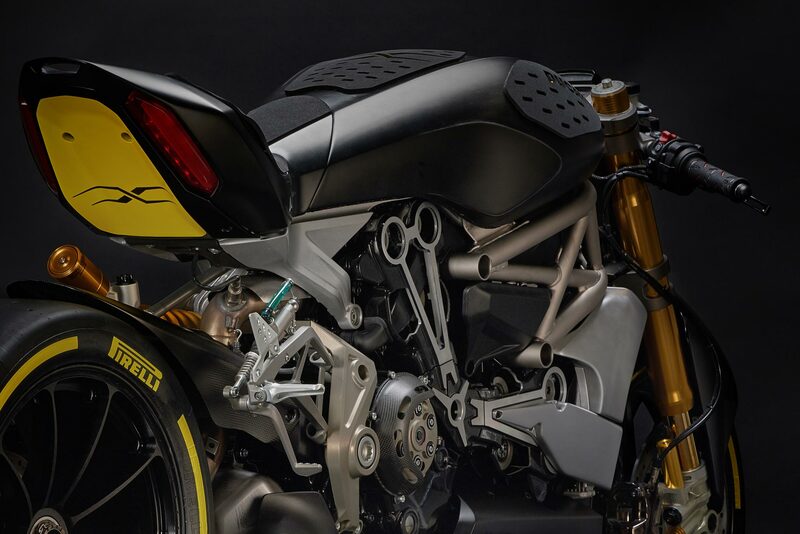 We have to give credit to the Ducati Design Center’s Advanced Design area, which created the concept, as a part of the team’s ongoing duty of exploring future style and design concepts for the Italian brand. 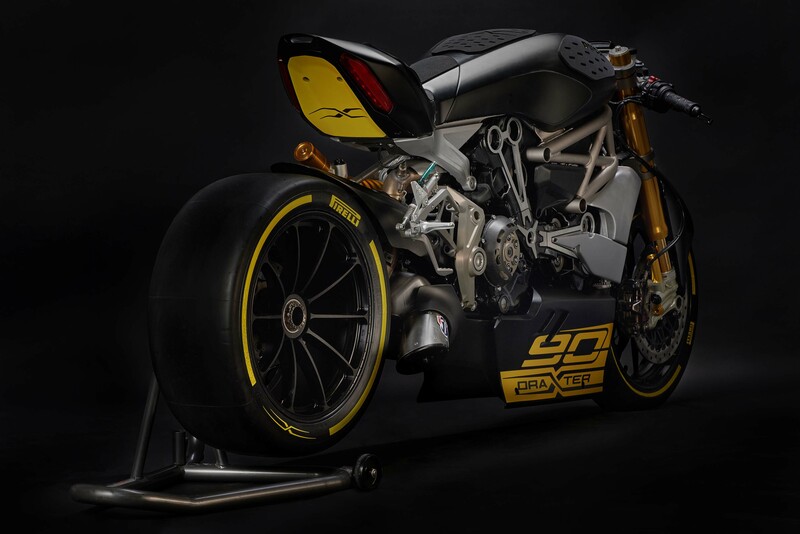 To help make the draXter a bit sportier than its XDiavel sibling, Ducati has used the same suspension and brakes as the WSBK-spec Ducati Panigale R. OG Ducati fans will also appreciate the dry-clutch conversion and the Termignoni exhaust. 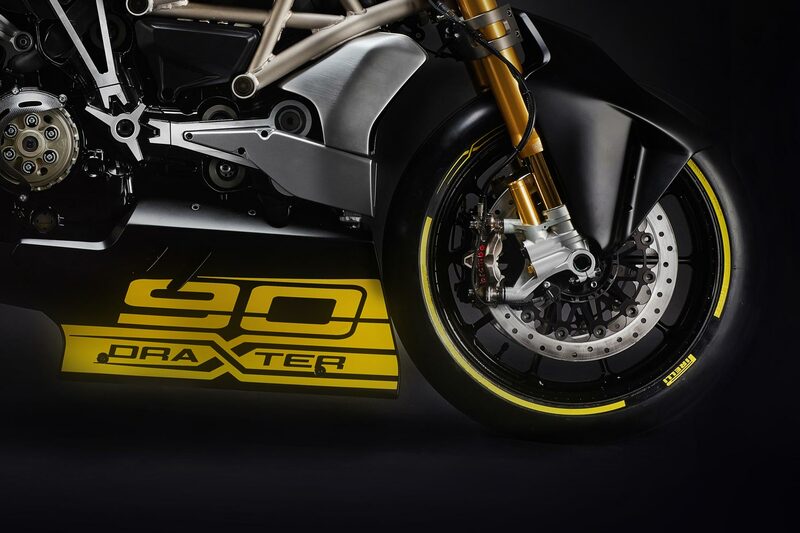 The yellow “90” decal on the fairings signals that 2016 is Ducati’s 90th anniversary, as the Italian brand was founded in 1926, when it began producing radio components. It wasn’t until after WWII that Ducati began making motorized two-wheelers though. We can expect Ducati to make further ado about its nonagintennial. 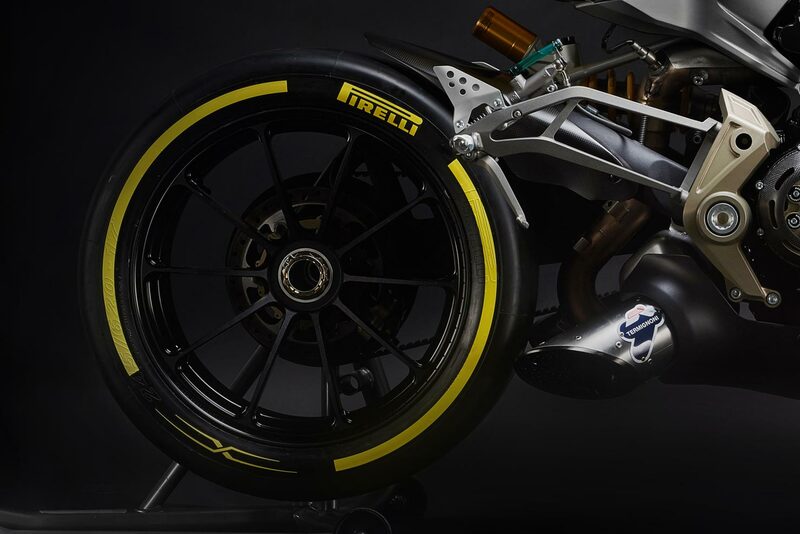 If they are as appealing as the draXter, this should be a very good year for Ducatisti.